Siri completely missed my favorite way to relax. I iron (not to be confused with I pump iron, which I do not). No really. 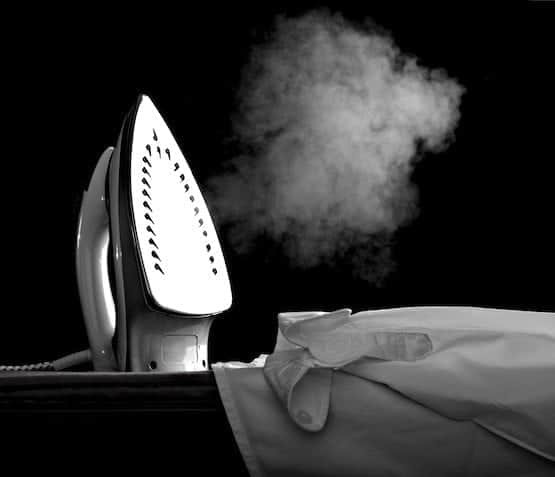 There’s something soothing and instantly gratifying about a good iron with a heft of heat and steam gliding back and forth over wrinkled fabric. How to Clean Steam Irons and Granite Countertops—Cheap and Easy! These days its nearly certain that there’s a pricey product available to clean just about anything. 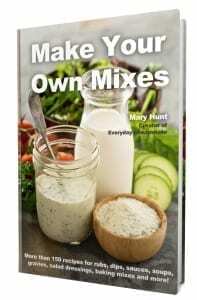 But why spend the money when you can make your own homemade products that perform just as well from ingredients you may have already in your cupboards and pantry? I’m talking cheaper, faster and quite possibly better! What is the best and most effective way to clean a steam iron? You need to clean both the inside and the sole plate of a steam iron regularly to keep it in tip-top condition. Before you proceed with my cleaning suggestions, make sure you read the owner manual that came with your iron to make sure there are no instructions or cautions that might preclude the following. INSIDE: To remove build-up from the inside of the iron, which over time can really clog things up, pour equal amounts of white vinegar and water into the iron’s water chamber up to the maximum fill line. 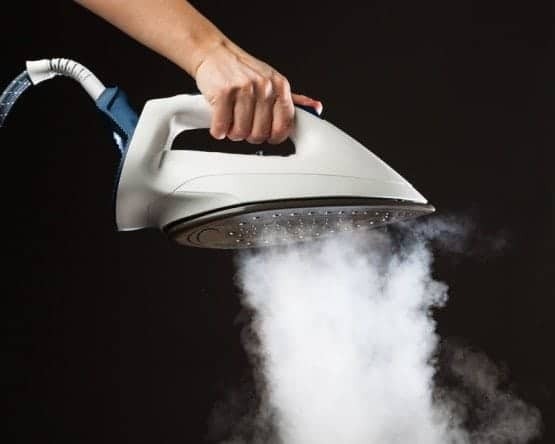 Turn the iron on to “steam” setting and iron a soft clean cloth to clean out the steam ports. 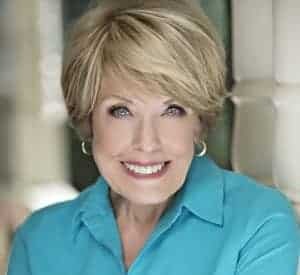 https://www.everydaycheapskate.com/wp-content/uploads/061815image1-e1434481369445.jpg 444 555 Mary Hunt https://www.everydaycheapskate.com/wp-content/uploads/EverydayCheapskateNewLogo.jpg Mary Hunt2018-07-27 07:45:142018-07-31 20:00:05How to Clean Steam Irons and Granite Countertops—Cheap and Easy! I harbor a little-known secret. 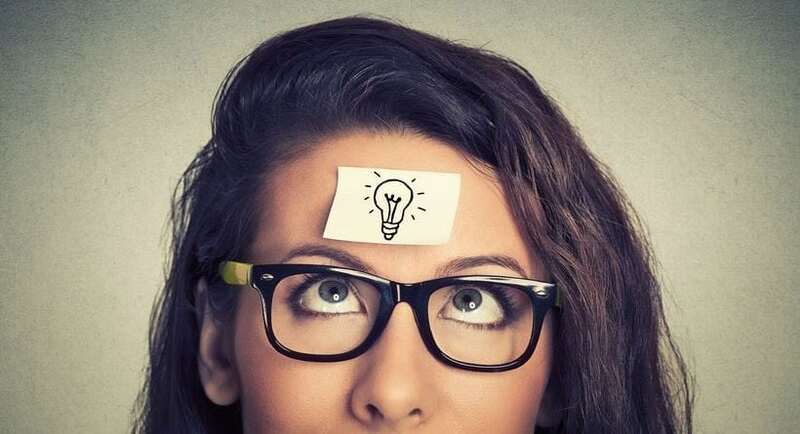 I only know a lot of the stuff I know because I’ve learned it from my kind and sharing readers. And the longer I do this thing I do, the more I learn. The wealth of knowledge I have gained from you in nearly three decades of this relationship is awesome. And every day, it seems, I learn something new. Dear Ted: I raced to get me a small spray bottle of De-Solv-It to test before mentioning this find to my dear readers. Wow! You are right about how well De-Solv-It works to remove all kinds of icky sticky stuff (not that I have a houseful of icky stuff needing removal or anything, ha!) I should have opted for the better-value 12-oz. size De-Solv-It from the get-go. This is exactly the kind of product I need in my arsenal of home rescue products. Thanks for this great recommendation.